When you want a tyre that’s built to last, RainSport 2 options from Uniroyal are the best choice. They deliver sporty performance on every journey, in the wet and dry but with an increased focus on wet weather performance and durability to make sure you never regret your choice. These are tyres that will last a long time and deliver consistently high levels of performance throughout their life so you can feel comfortable on any journey no matter the conditions. 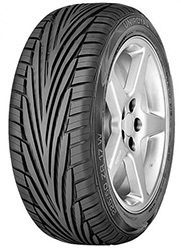 Uniroyal RainSport 2 tyres are a great option.